WATERLOO, ON--(Marketwired - September 15, 2015) - Teledyne DALSA (NYSE: TDY), a Teledyne Technologies company and global leader in machine vision technology, today announced the introduction of its Genie Nano series of affordable, easy-to-use GigE Vision® cameras. 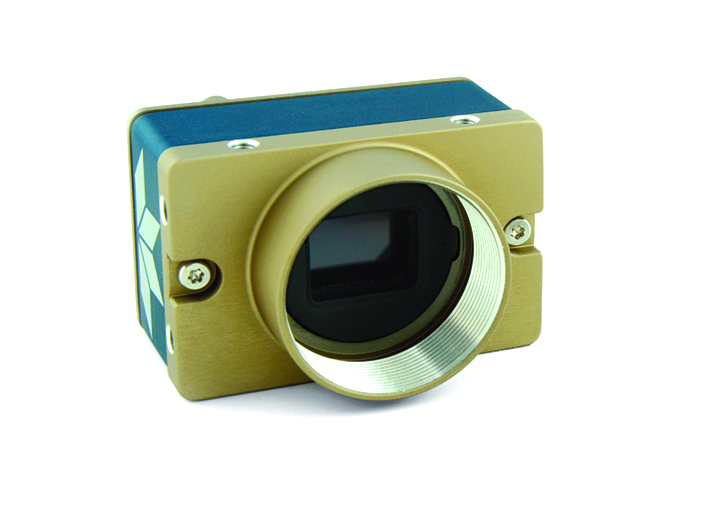 The series combines industry-leading CMOS image sensors, including the Sony Pregius and On Semiconductor's Python, with a fully optimized camera platform to deliver high frame rates and powerful features in a small, robust body. The first four models in the Genie Nano series, the M1920, C1920, M1940 and C1940 are built around the Sony Pregius 2 Megapixel IMX249 and IMX174 CMOS image sensors respectively. Available in monochrome and color with additional resolutions to follow, Genie Nano cameras help ensure high performance and reliability with their unique feature set. Designed for industrial imaging applications with Teledyne DALSA's patent-pending TurboDrive™ technology, these latest Genies are capable of breakthrough data transfer at 2 or even 3 times the standard GigE Vision rates. The Genie Nano series also takes full advantage of the Sapera™ LT Software Development Kit (SDK) and field proven Trigger-to-Image-Reliability™ framework for full system-level monitoring, control, and diagnostics from image capture through transfer to host memory. "We're pleased to offer customers affordability and performance in such a small, robust package that is a breakthrough on so many levels," commented Manny Romero, Senior Product Manager for Teledyne DALSA. "The Genie Nano series is engineered to meet the high expectations of OEM and System Integrators, and features our lowest price ever." Teledyne DALSA, a Teledyne Technologies company, is an international leader in high performance digital imaging and semiconductors with approximately 1,000 employees worldwide, headquartered in Waterloo, Ontario, Canada. Established in 1980, the company designs, develops, manufactures and markets digital imaging products and solutions, in addition to providing specialized semiconductor products and services including MEMS. For more information, visit Teledyne DALSA's website at www.teledynedalsa.com.